A good canape is easy to make, quick to eat and packed full of flavour. You have one mouthful to win them over. It’s a good opportunity to work with strong flavours and good pairings. This one in particular combines soft, tangy goats cheese with sweet and sticky caramelised red onion. Dice/slice your onion and fry gently in a little butter with some salt. They need to be soft but not browned. Add a spoonful of brown sugar and a splash of balsamic vinegar. 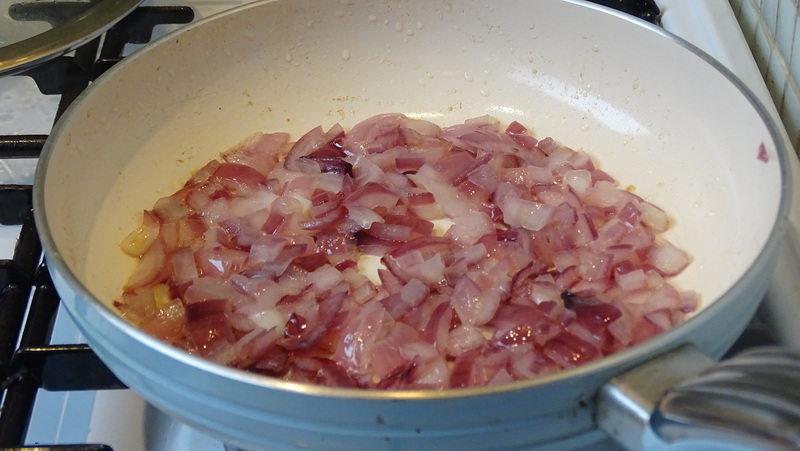 Continue frying, stirring until the sugar has candied onto the onion. Allow to cool. 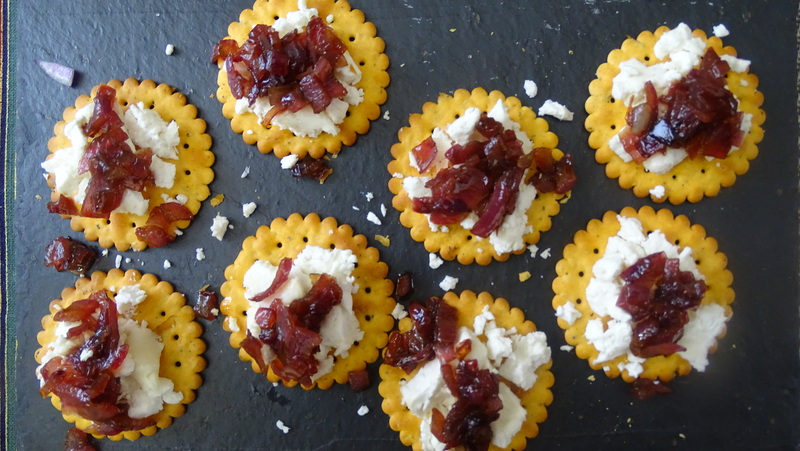 Crumble a little goats cheese onto the crackers and top with the onion. Posted in Guesscipes, Sides and Snacks, Starters, VegetarianTagged canape, cheese, cracker, food, goats cheese, guesscipe, hors douevres, onion, party, recipe, starter, VegetarianBookmark the permalink.